A few days ago even the Financial Times (!) 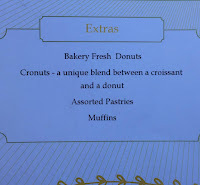 reported that - at last - the nearly mythological Cronut [what is that? Read further down] has made its way to London, with the first Cronut bakery [a Cronutery?] opening in Belgravia. 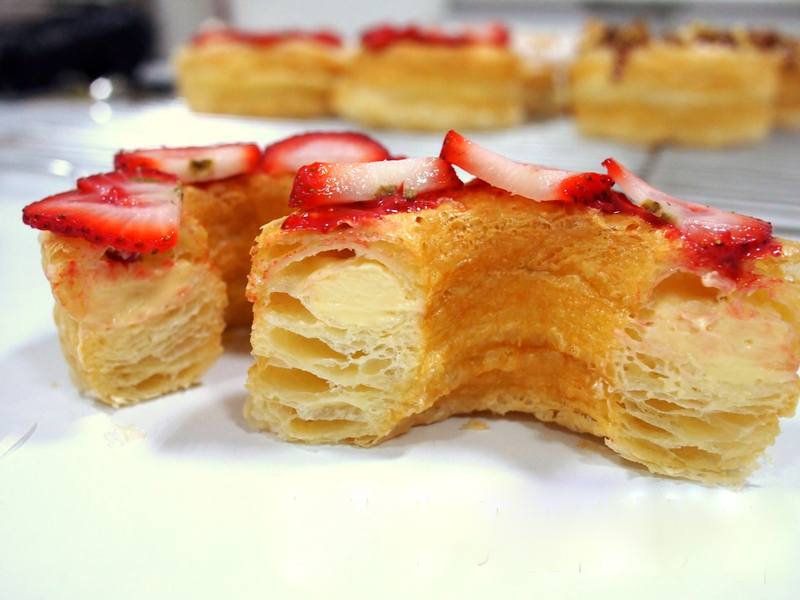 The Cronut is not only a sought-after pastry for those with a sweet tooth, but also IP aficionados. US-based Katfriend Matthew Hintz (Lowenstein Sandler), worldwide expert in the US Cronut trade mark saga (also tweeting as @mhintzesq), explains it all. "Baked goods do not usually merit a national conversation, but, for the past few years in the United States, a croissant-doughnut hybrid known as the Cronut has done that. The fascination continues with this laminated dough fried, and then sugared, filled, and glazed. Lines for the Cronut at chef Dominique Ansel’s bakery in New York City still start early, despite snow, rain, heat, or the discovery of a nearby dead body. In honor of the recent official debut of the Cronut at Ansel’s London bakery, we provide a summary of the trademark registration path for that certain croissant-doughnut. You can read this while waiting in line. 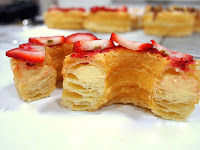 The United States Patent and Trademark Office (USPTO) first issued a registration for the CRONUT mark in January 2014 to Ansel’s International Pastry Concepts LLC for, among other items, “Bakery goods, namely, croissant and doughnut hybrid.” In February 2014, however, the USPTO issued a notice that the registration was “inadvertently issued” while the application was subject to an unexpired extension of time to oppose registration of the mark. As a result, the USPTO cancelled the registration and reinstated the application to pending status and potential opposition. That opposition was soon filed in April 2014 by Najat Kaanache, a chef, and Crystalline Management, LLC. Notably for a baked good dispute, Kaanache’s attorneys were Baker & Hostetler LLP while Ansel’s attorneys were The Cook Law Group (emphasis added). Grounds in Kaanache’s opposition were (1) likelihood of confusion with Kaanache’s pending application to register the CRONUTS (plural, for “creative donuts”) mark for “Baked goods, namely, sweet donuts and savory donuts,” (2) mere descriptiveness of CRONUT, (3) lack of bona fide use in interstate commerce for all of the goods listed in the application, (4) misuse of registration symbol in enforcement efforts, and (5) fraud on the USPTO that the CRONUT mark was not in use with all the goods on the application. Ansel moved the USPTO’s Trademark Trial and Appeal Board (Board) to dismiss the opposition based on the opposition not stating a claim upon which relief can be granted. Kaanache’s dish, alleged in the motion to dismiss, was crawfish “mini croquetas,” attempting to free ride on the acclaim of Ansel’s bakery goods. In its decision on the motion, the Board expressed no opinion on its preferred flavor profile; instead, the Board denied (most of) the opposition. The opinion emphasized that a motion on this basis was a test solely of the pleading in the opposition. In other words, Kaanache didn’t need not to she would win—instead, she only needed to plead her claims sufficiently. According to the Board, she did plead four of the five grounds sufficiently. As for the other, in ground 2 (mere descriptiveness), the opposition only quoted a descriptiveness rejection from examination. Since this was not her own allegation, Ansel’s motion to dismiss ground 2 was granted, with leave for Kaanache to re-plead. And she did, and after a series of extensions through the rest of 2014 and 2015, at the end of June 2015, Kaanache withdrew the opposition. As a result, the Board dismissed the opposition with prejudice. Subsequently, the USPTO again issued a registration for the CRONUT mark to Ansel in August 2015. Some puff pastries are just full of hot air. From our understanding, Dunkin Donuts item is called a ‘croissant doughnut’. This is not an infringement on our trademark for Cronut™. There is a difference between any burger and the Big Mac; and any soda from Coke. And we appreciate large corporations that respect trademarks from small businesses, and distinguish their products appropriately to avoid customer confusion. 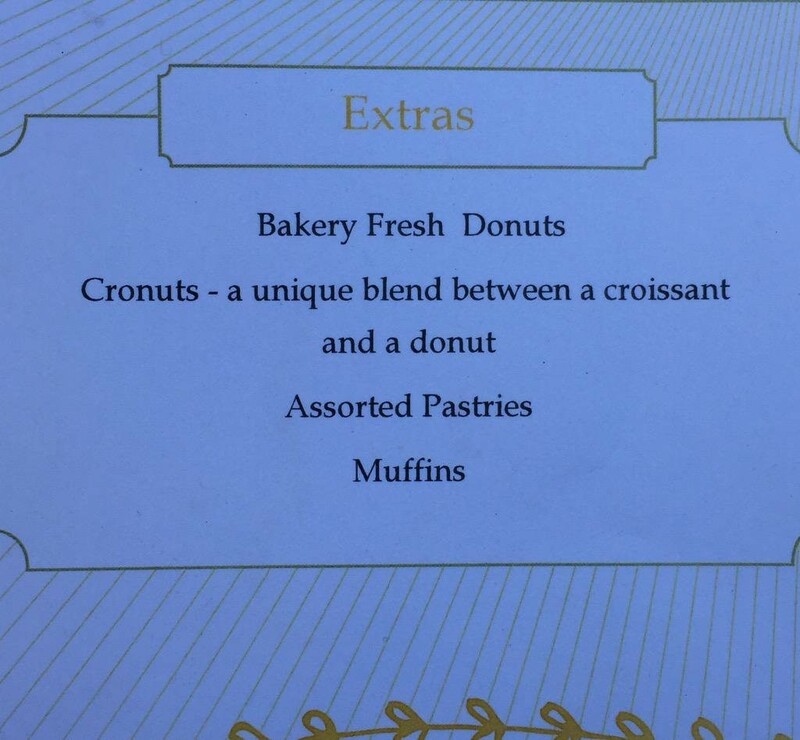 But using the term “croissant donut” did not spare Rounds Bakery in Reno, Nevada, from receiving a cease and desist letter from Ansel’s legal team. Rounds insisted it was careful not to use Ansel’s mark in its marketing and made this clear at #NotACronut. 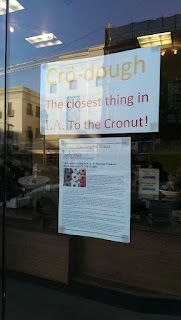 Other croissant-doughnut hybrids under various names also received cease and desist letters from Ansel’s legal team: the Croi-nut in Baltimore, Maryland; the Crauxnut in South Portland, Maine; the Creaux-nut in Shreveport, Louisiana; the Kronut in Santa Monica, California; and the Croughnut in Seattle, Washington. Reactions were mixed. The Crauxnut was subsequently renamed as the CnD, for “cease and desist,” but the bakery only makes them by special order now as “[t]he ‘cronut’ fad saw it’s day, and demand waned.” The Creaux-nut’s baker was “thrilled” to learn that Ansel knew of her creation and changed the name. 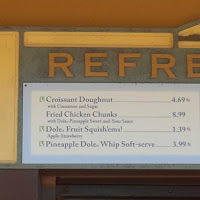 The Croughnut became Double Happiness, after the bakery ran a contest on Facebook for the renaming. (Candidates included Fauxssant, Croughbar, Pas Nom, and Le Donut.) Other bakeries just went with whosywhatsit or thingamajig. What about trademark protection in the United Kingdom? The bake was very straightforward for registration in the United Kingdom, unlike Ansel’s nearly 1,000 attempts to adjust the recipe for London weather. The CRONUT mark was registered as a trademark in 2014 from a designation of an International Registration claiming priority back to Ansel’s U.S. application’s filing date in 2013. If you don’t want to wait in line or have three days to spare, Ansel published the recipe for an At-Home Cronut in his cookbook. But be careful how you refer to the finished baked good."